Brisbane, well done. You've finally really started to embrace the neighbourhood cafe, and we're a far better city for it. What's better than stumbling down the road to a cute spot for brekkie on the weekend? Nothing! (Actually, one thing would be better: if it were socially acceptable to wear your jammies to said breakfast spot. Maybe we'll get there one day). 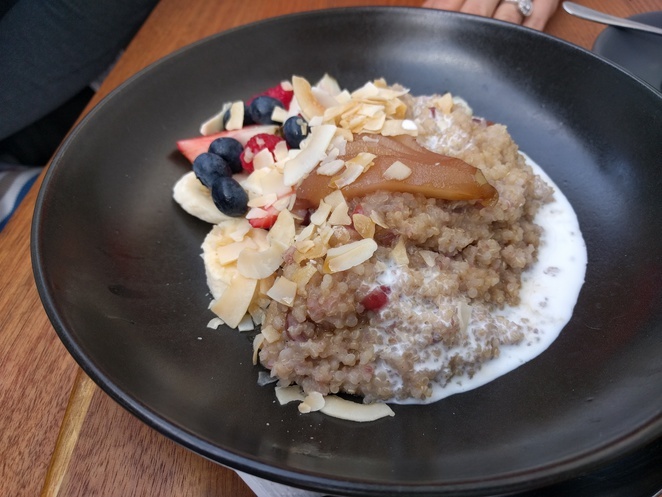 Quinoa porridge with coconut and poached pear, to be exact. I loved the little crunch from the coconut flakes, and think this dish could be even better with caramelised bananas instead of fresh. The generous pour of coconut milk gave it a lovely richness and made me seriously doubt whether my homemade Uncle Tobys oats would ever be the same again. 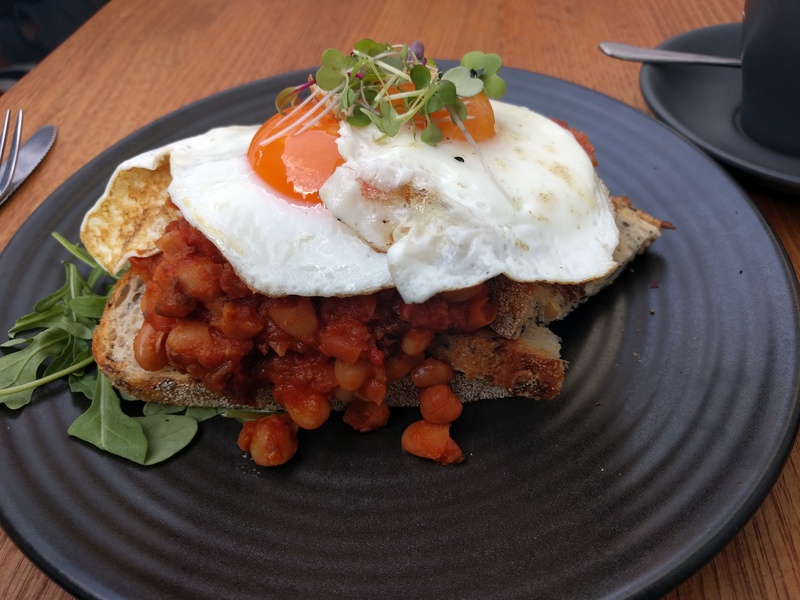 My partner also had a wintry dish; the house-made beans with eggs and toast. The beans had a lovely smoky flavour, and were a good hearty dish that really would be good at any time of the day. While there's lots of outdoor seating at Fuel & Co, there's only a small indoor area. Service is generally very fast despite how busy they get. Now, if we could only work on the pjs-in-public thing, then we'd be all set!